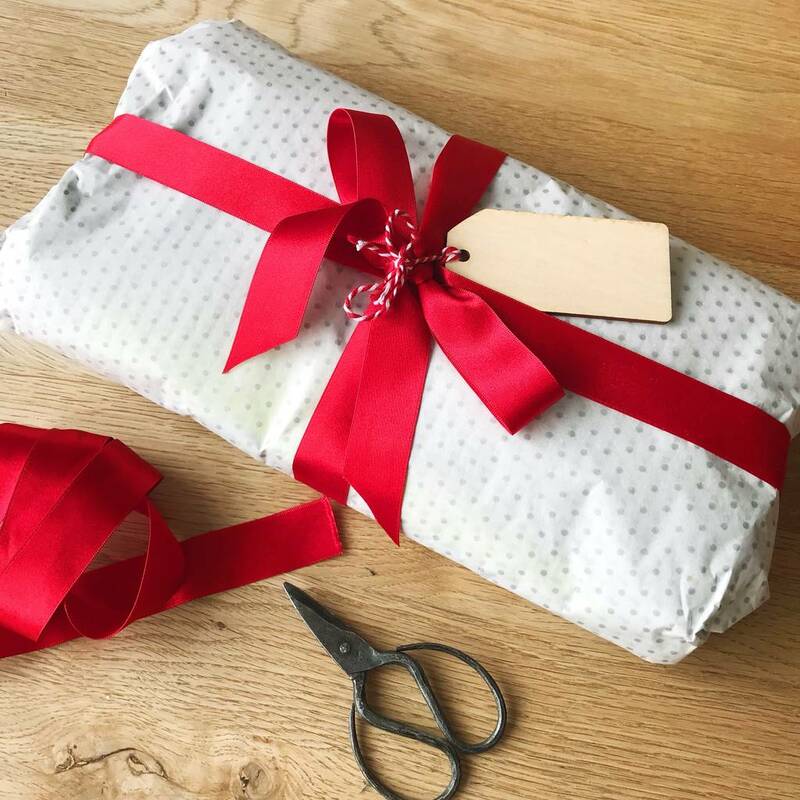 A brilliant gift for an exceptional woman. 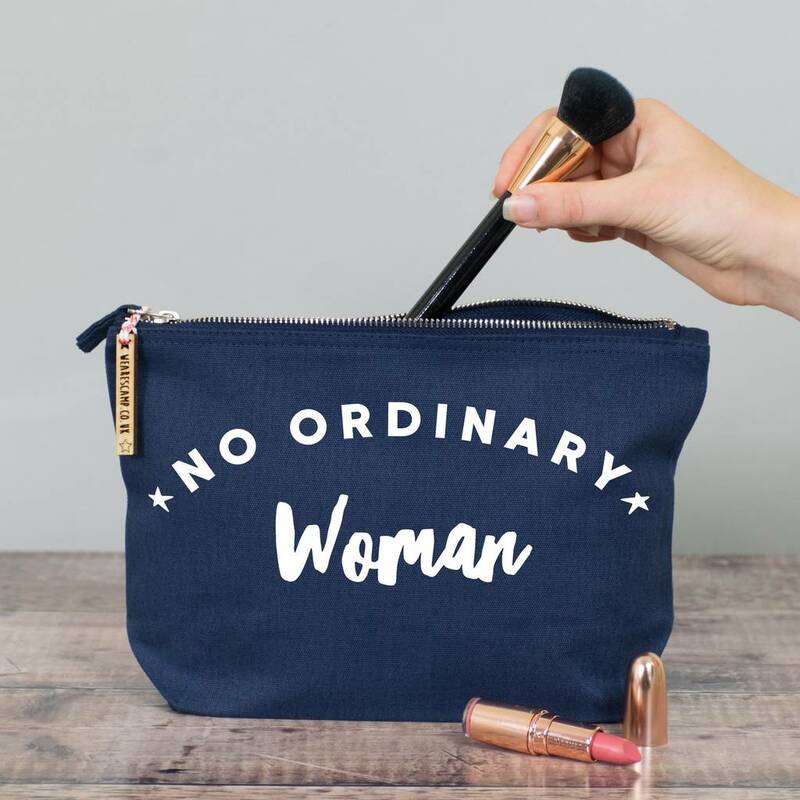 Give it to any special women that you know - a gift that celebrates their extraordinariness! 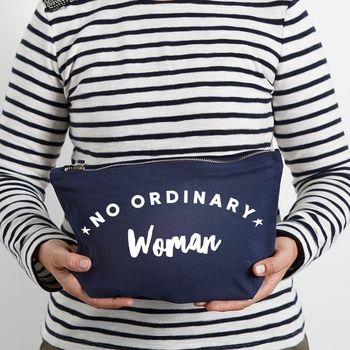 No Ordinary Woman - what a thoughtful present to give to someone that is really out of the ordinary - and why not pop in a few lovely bits and pieces to make it even more special! 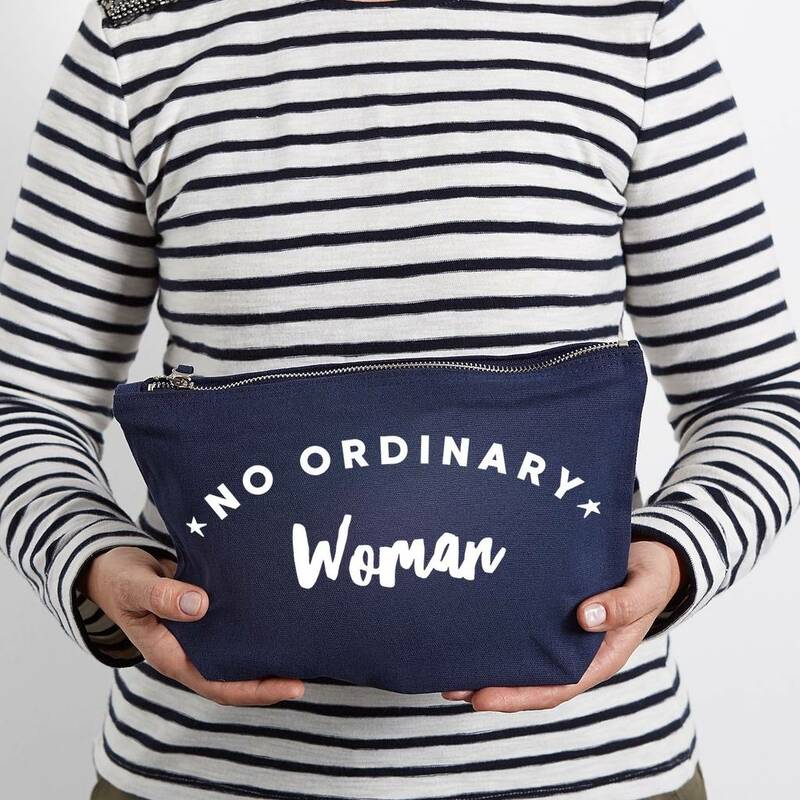 A multitude of uses makes this a perfect gift for an on the woman on the go - fits lots of travel accessories, make up, gym bits and pieces or it could be something useful for a nappy bag if there are little ones in their life! 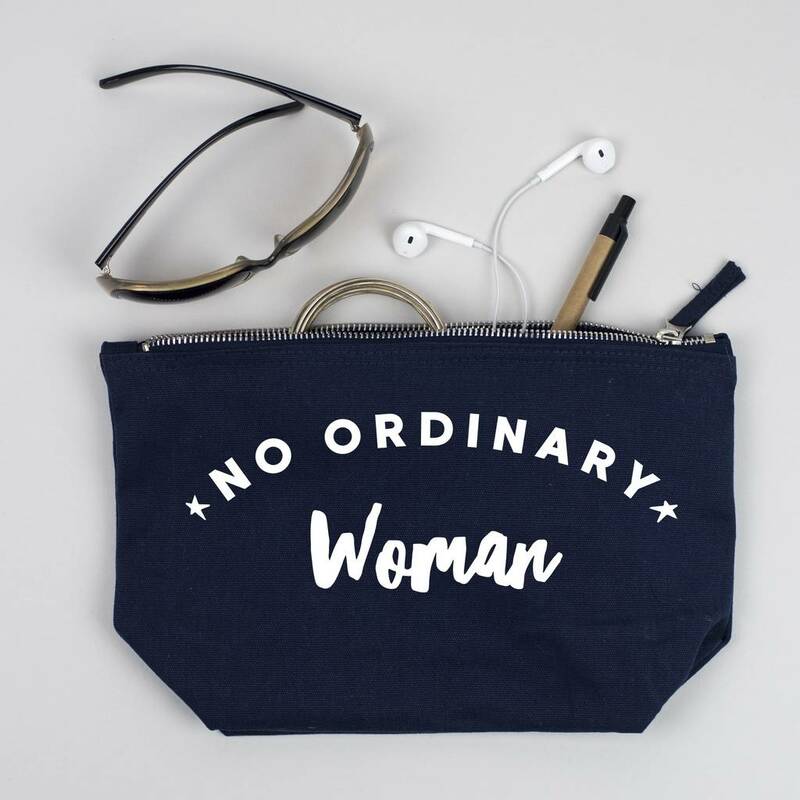 No Ordinary Woman is printed in White on this dark blue zip pouch..